When Stephen Colbert returns to television as the new host of CBS's "Late Show" after Labor Day, he'll be joined by a eclectic group of guests, from A-list actors to Silicon Valley entrepreneurs. George Clooney and Jeb Bush will be Colbert's first guests on September 8. And "Late Show" band leader Jon Batiste and his band Stay Human will perform on premiere night. Notably, Colbert will also play host to two of the biggest names in the world of tech during the first week. SpaceX and Tesla Motors CEO Elon Musk will visit the "Late Show" on September 9 and Uber CEO Travis Kalanick will visit on September 10. The twin bookings are an instant way for Colbert to differentiate himself from his predecessor David Letterman. CBS announced the guest line-up on Monday morning. Scarlett Johansson, Amy Schumer and Stephen King are also on the docket for week #1. Colbert's "Late Show" will also have wide-ranging musical acts, with rapper Kendrick Lamar performing as Colbert's first official musical guest on September 9. Lamar will be followed by country star Toby Keith on September 10 and the Paul Simon tribute band Troubled Waters on September 11. While Colbert has mostly stayed off TV since ending "The Colbert Report" in December, the comedian has sought to stay on the cultural radar. 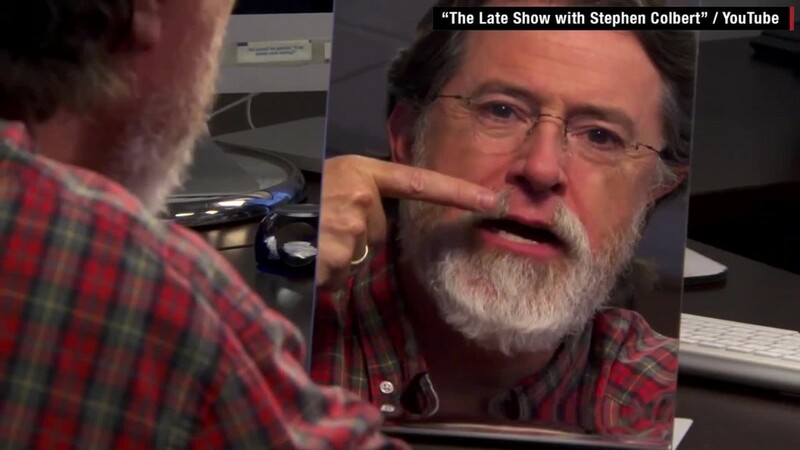 He has been creating "Late Show" web videos all summer -- including one that featured him figuring out how to shave his "Colbeard." He also appeared on "The Daily Show" for Jon Stewart's last broadcast on August 6. "Is there a party or anything? I brought a lot of people from CBS," Colbert said to Stewart before delivering a heartfelt tribute. Actually he brought a lot of people from Comedy Central to CBS. Key members of his "Colbert Report" team are producing the new "Late Show." The team of writers and producers were officially named last week.